I found a happy place on Saturday. A place that made me giddy. I place I wanted to stay awhile. A place I plan to go back to many, many times in the future. Dan and I were able to go out for dinner just the two of us for the first time in a long while. Life has been pretty full lately, and we hadn't been out on a "date" in over a month. 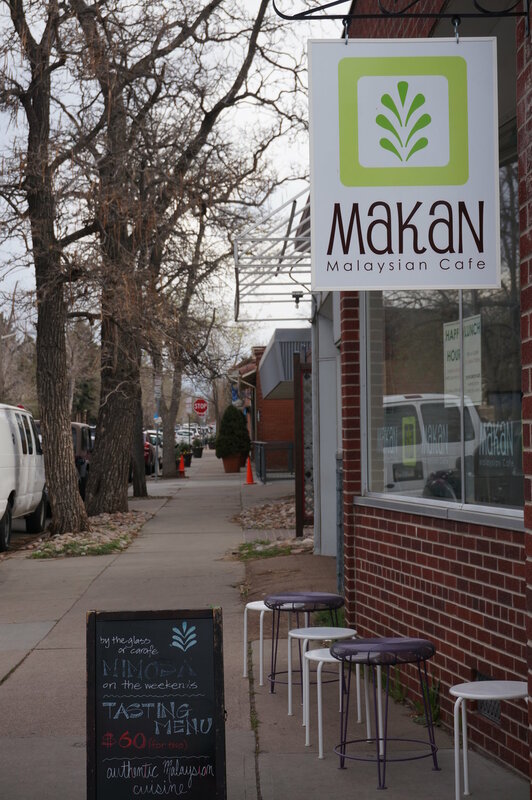 While looking for available reservation times on OpenTable, I saw a listing for Makan Malaysian Cafe. I'd never heard of it, so immediately I checked the reviews. (How did I miss a Malaysian restaurant open almost 2 years!? Shame on me!) People had great things to say, so we obviously had to try it. It's down on South Pearl street, near Park Burger, in a strip of small restaurants and shops interspersed with houses. A friendly waitress and modern Ikea and Asian decor welcomed us into to the mostly empty restaurant. We were seated next to the open kitchen on one side, and a cheery lime green wall on the other. We could not decide what to order. The menu was packed with all the most well-known Malaysian dishes. From Char Kuih Tiao to Mee Siam and Roti Canai, they had it all. We were tempted by the $60 for 2 tasting menu, but ultimately decided against it. Each dish was prepared in a wok just a few feet away, and then promptly brought to our table. It was homestyle food in the best possible way. Everything was piping hot and completely fresh. And each dish was cooked all at once -- no flavorless protein thrown in at the last minute. Not only were all our dishes superb, but everything that came out to the other tables made me envious. Why didn't we order that!? It wasn't just us loving the food. The restaurant filled up from 6:30 on, and everyone around us was raving about their dishes. A regular next to us talked about how he'd come every Sunday since back when the owner just had a cart at the farmers' market. This place is good. I was most impressed with the fact the menu didn't include any dishes to appease an American audience. Every dish on there is something I'd seen served in Malaysia. 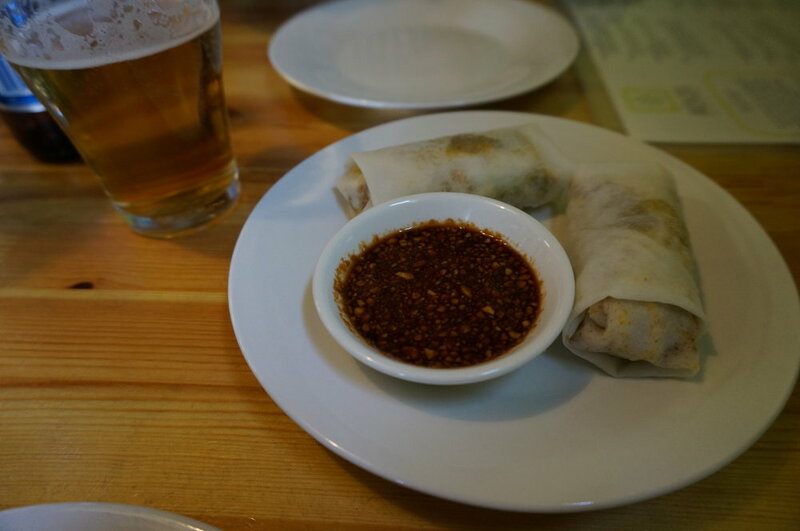 The menu does have long descriptions of each dish, so no experience with Malaysian food is necessary. But good luck trying to decide between all the great options! And the drink menu was enticing too: Australian-style coffees and Malaysian Tea Tarik as well as wine and beer. This would be a great brunch place. Plus they have a happy hour menu where you can get "mini" versions of dishes like Laksa. Must go back for that, too. Also! If you sign up for their "club," you get a card that give you 10% of everything for a year! No restrictions.